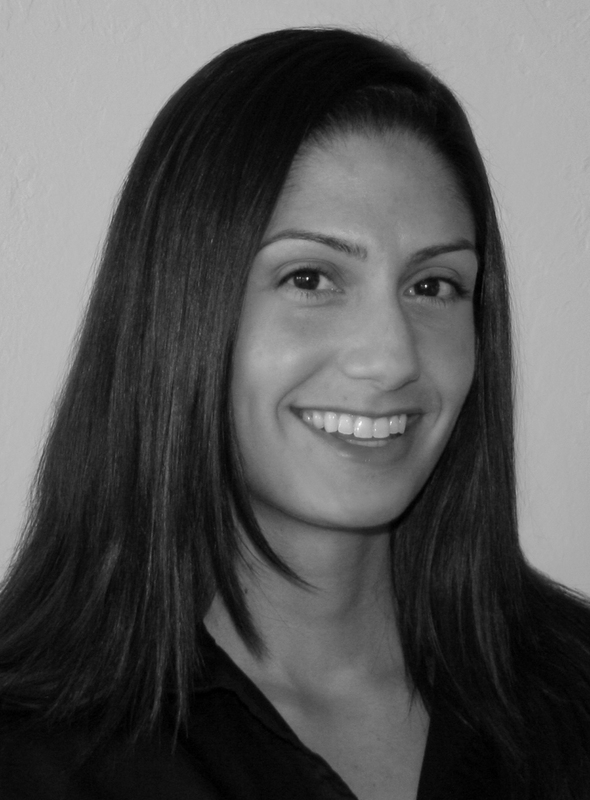 Candice Aguilar has become well-known and recognizable for her clean, whimsical style. When brainstorming ideas & themes to base a new set on, I instantly knew that the woodland creature trend that is so prominent now, would be a perfect fit. When I saw her first draft, it was obvious that it was match made in heaven! Her new set, entitled Forest Friends, is just the CUTEST collection of critters I have ever seen! It was all I could do not to reveal the set in it’s entirety tonight so you could see the entire "family"
she drew! I’ve learned to pace myself over the last two year’s of doing these countdowns though, so today’s project will showcase just the sweet little skunk! If you look closely at the skunk, you will see how a few simple, well-thought out lines create this little guy. I love the soft curve of the stripes down his back and that cute little button of a nose! And notice the font combination that Candice chose for the sentiments? LOVE it! The retro font used in a lot of the emphasis words contained in this set is just fabulous! So fresh and funky! Almost creating a style all it’s own! Speaking of the sentiment, this particular one (Stop and smell the flowers) got me to thinking about a technique I dabbled in about four years ago! Creating my own scratch & sniff components! It’s an oldie; perhaps you remember doing it too! And after thinking about it a bit more, we as paper crafters have really brought our projects up a notch in the past few years by incorporating the element of touch with textures, etc… Why not start thinking about some fun ways you can embellish your themed projects with scents? With my card in particular, I thought of a few different scenarios. Create your own scratch & sniff embossing powder. I have always mixed Kool-Aid packets (no sugar added, just the flavoring) with clear embossing powder. You want about 1 part Kool-Aid to two-parts embossing powder. You can make just what you need for a project, or make a larger batch and store it in a labeled container. With an expansive selection of "flavors" available, you can create something to suit almost any project! Pink Lemonade is one of my personal favorites since it doesn’t have a lot of color to it and blends in quite nicely with the embossing powder. You use this homemade scratch & sniff concoction just as you would normal embossing powder! I just discovered these Potpourri Pellets at Wal-Mart last week. One packet costs about a $1 and contains hundreds of these little transparent dots that almost look like droplets of glass. They average from 1/8 to 3/16-inch in diameter, making them the perfect center for a flower or adhered in a row for a border. You could pretty much use them any place you might normally use a rhinestone or self-adhesive pearl. They are permanently saturated with their assigned scent, so the recipient would be welcomed with the sweet smell as soon as they opened the envelope! One additional option is to use a tiny drop or two of a fragrance oil on your flowers, which is what I did on my project today. I found some in the potpourri section of the store. You could also use essential oils that are used in making cosmetics and other beauty products. Remember, a little goes a long way! So, have you added scents to your paper crafting projects in the past? Does today’s post inspire any ideas for you and your creativity today? Think about mixing pumpkin pie spice or cinnamon in with your embossing powders for a special home baked smell on a project that features gingerbread men or other holiday baking theme. What’s your mother’s favorite flower? Wouldn’t she be thrilled to have a special birthday card that features an image of that bloom PAIRED with the smell she loves so much. It would be like having a fresh bouquet arriving in an envelope! Oh, and I almost forgot! What do you think of the patterned papers used on today’s project? They are all from the new December patterned paper collection, Raspberry Fizz Mix (don’t forget that you can click on the image for a larger view!). I am SO in love with this collection! I am going to have a lot of trouble not using it on every single project I create this week! Just to help fend off some questions now, there is not a stamp set being released this month that coordinates with this paper. Notice I said THIS month! A few of the elements that I designed for these patterns made their way into a set that will be released in January, so you’ll just have to wait and see what will be! Regardless, the vibrancy of the color, paired with the bold patterns jsut really make the collection fun to use. You will gt fabulous results no matter what you pair this paper with! It practically does the work for you! The Fine Print: One comment will be chosen randomly as the winner. The winner will be announced around 11:30pm EST, Wednesday, December 10th right here at the end of this post. Please play nice, only one comment per person. For the first time in the history of utilizing the Random Number Generator, it rolled out a single digit! skunk should definitely be called "Flower". Can’t wait to see more! " Congratulations, Ann! Please contact Customer Service with your shipping address so we can get your prize package out to you! And thanks to everyone else for playing! All of your excitement is contagious! Be sure to stop by Lauren Meader’s blog to see what she has created with Forest Friends! Candice Aguilar has inked the set up too to show you a little preview! Lisa Johnson has a set being released this month as well, which she shows you a peek at today in her post! That skunk is so cute! I cannot wait to see the whole set. Cute stamp set! I love the retro look and the cute skunk! Oh wow! Am I the first to post? Rats, I’ll probably not win anything but I do want to say that this month’s paper collection is really funky LOVELY!!! Need to see more of the stamp set. Too, too cute! I can’t wait to see the rest of the family. Loving the skunk and also the great new color. Fabulous! Yes, I can see I will be adding a few sets to my basket this month 🙂 This is an ADORABLE set (congrats Candice) and you have made a hands down fresh and fun card Nichole. That skunk is so cute. I can’t wait to see the rest of the Forest Friends set. The Raspbery Fizz color and prnts are awesome also. I am looking forward to the rest of the things you show this week. The Raspberry Fizz Mix looks yummy! I know the picture doesn’t do these papers justice! Can’t wait to see the skunk’s friends!! LOVE the new raspberry fizz paper and the skunk is cute! Can’t wait for this week to continue! The new patterned paper has a bold and fresh look which will be just right for spring and summer projects. I have to say that is the most CHARMING little skunk I have ever seen. And I am more that a little excited about the new bright pink. I go through sweet blush more than any other color. And my 7-year old niece is really getting in to card making so she will also love the pink! The skunk is adorable – I can’t wait to see the rest! The skunk is very cute! I’d love to win him and his friends! I would love to win this! I love the colors, the patterned paper, and even though I haven’t seen all of Candice’s set, I know I’ll love it too! That skunk is just too cute! I know someone on the PTI board that is going to be so thrilled with Raspberry Fizz! This card is so beautiful and I cannot wait to see the rest of the woodland creatures! Looking forward to seeing Candice’s set, she’s one of my favourite designers, I have all her stamp sets! that paper rocks! those animals are sooo cute too. Pink is my FAVORITE color! I’m so happy that it is now at PTI! :] Also, I think I NEED this stamp set. ;] Beautiful card and thanks for the chance to win. Love the skunk, can’t wait to see the rest of the critters!! Paper is divine, love the hot pink. That raspberry fizz paper is to die for! I love that color! The stamp and sentiment are just adorable – I’d love to add them to my collection! I love the bright colors and I am sure the rest of the critters will be just as adorable as the little skunk. The skunk is very cute, and I’m eager to see the rest of his friends, but I have to say I LOVE, LOVE, LOVE the pink patterned paper! Please, oh please, oh please, let that large flower in it be in the stamp set you release in Jan! I need a skunk set! Love that little guy – he’s done soooo well! The person who I am making a card for if I win also loves that shade of hot RASPBERRY – YUMMY! That skunk is adorable! I just love all of Candice’s sets! I love the vibrant color and designs of the pp!! so pretty!!! and that skunk is so darn cute!!! I can’t wait to see the rest of that set. The skunk is so adorable! Loving the new patterned paper as well. What a fun set! And the bright pink will be a huge hit with my younger daughter. Can’t wait to see the rest! I am sure that this exciting set of stamps, paper, and color will beat any January blues that come my way! I love raspberries! Such a delightful combo–Forest Friends & Raspberry Fizz. Can’t wait for the rest of the countdown. What a beautiful color! Raspberry Fizz is sure to become my new favorite. And the stamp set has me intrigued as well. I love the paper!!! Fabulous! as I looked at your project. Oh! This set and the patterned papers look yummy! I am loving the bright punch of color in the Raspberry Fizz papers! Looks like another fun release based on all the sneak peeks 🙂 Darling set – I was just in Nordstrom today and the store is FILLED with woodland creatures. Loving this set so far, cannot wait to see the rest of it. I love the bright and bold colors of the paper, reminds me of the tropics. I just love the 10th of every month, because I am so excited to see what you and your DT will come up with. I’m loving the patterned paper! Very pretty and vibrant! You and the PTI gang have done it again!!! can’t wait to see the rest of Candice’s set. That skunk is so stinkin’ cute! I love the paper. That will be a must have! The sentiment and little skunk are so cute. Can’t wait to see the rest of the set. Oo this set is great!! love the collour of the paper, it’s going to be hard to pick my christmas pressents this year. O Well maybe, i just have to pick them all!! love love love the papers – and i can’t wait to see the rest of the forest set! gosh, 5 days seems so far away… I can’t wait to see those stamps this month! Always an exciting time of the month! 🙂 Let the fun and games begin! The skunk looks very cute and I love the raspberry paper. Can’t wait to see it all! This looks good. I love these sneak peaks on your blog. The colors of the paper are gorgeous. And that skunk is cute. Love the patterned paper. So pretty and the color is beautiful! Wow! I love scented things and it would be great to win this :). Thanks for having the contest. OMG….Nichole you and your team are simply…A-M-A-Z-I-N-G! It’s that time again and I get all excited..every month the same thing…never miss a beat…can’t wait to see what’s new….yahoo! The newest color you’ve come up with is a MUST HAVE!! This is definitely going in my cart when it’s released! And I can’t wait to see the rest of Candice’s and Lisa’s creations! Wow – move over Christmas stamps, here comes Valentine’s! I already love this set. LOL! What hot colors too. Can’t wait to see what fun you have in store for us this month! Love the Kool-Aid technique. I’ve also heard of people mixing cocoa and coffee into their embossing powders. Yum! I am in love with the bright color of the paper and the font is adorable! Can’t wait to get these items! Those pink papers are just fantastic. I can’t wait to see more details and will be looking out for the co-ordinating January sets. I love the raspberry fizz DP!!! its so pretty,and funky at the same time! I cant wait to order it! I can’t wait to see the rest of the critters i this set. It looks real groovy baby! 😉 The raspberry fizz color is AMAZING!! So different from your previous releases. A must have. LOVE this! I’ve been palying around with my own forest critter stamps and die cuts lately. I would love more sentiments to go with them! I always think your sets are gorgeous! Loving the raspberry fizz paper!!! So vibrant! I can’t wait to see the rest of Candice’s set. I bet all the other creatures are just as adorable! I love the bold colors. CA-UTE card, it helps to have fabulous supplies. I have never had the itch to buy any of the patterned paper, but I am sold on this set. The skunk is just the cutest thing. And thank you for the reciepe for the smell. loving the new colour paper a good addition to all the other colours PTI has. I am very excited to see more of the set ad sentiments and really can not wait to get my grubby little hands on that paper (and hopefully that color ink & ribbon?) It is Beautiful!!!! Using scent on cards reminds me of being in high school when we would spray perfume on cards and letters to boyfriends–today’s idea of scratch and sniff embossing powder sounds like lots more fun! Woo hoo…there is a squirrel in the Forest Friends set too…YAY! Love the scented ideas, it’s amazing how few items escape the mind of a crafter. Adorable Stamp Set — LOVE that skunk – too cute!! The paper is soooooooooooo FABULOUS — I MUST have some — I’m excited about the release on the 15th! I definitely like those bold, yet simple and crisp patterns! I like how Candice cut out a flower from one of the papers and added it to her card. Very lovely! Oh my WORD! The first thing I thought was, “Please tell me she’s selling that paper and that skunk is stinkin’ cute! LOL! Can’t wait for this release! This set is just too “stinkin cute”! Love the paper too. That sentiment is crazy adorable! Will definitely be buying this set! The raspberry fizz paper is by far my favourite so far!! Can’t wait to see all the other creatures in the family!! Love the skunk! The razzle dazzle pink is really vibrant…but I sure like it with the kraft paper. Thanks for the chance for some candy! This skunk is too stinkin’ cute! The Raspberry Fizz Fizz paper is bold and sassy…love the new color! I have a feeling my bank account will get another big hit with this release! Love the bright colors and bold images on the paper. I also love Candice’s work – I enjoy using her images that are so perfectly created. Oh my! This is going to be another expensive month for my credit card! I already love the new Forest Friends set! We live in a very rural area and get to see these wonderful creatures often, so there isn’t a more appropriate stamp set for my children and I to stamp with! I also have been waiting for a true raspberry color! I can’t wait to see what you post using this color and the great new patterned paper that matches! Day one of the countdown and I am already impressed! Thanks Nichole!!! Raspberry Fizz–a bright and cheery color that will warm up our winter cards! I love the retro font. I can’t wait to see the other critters. Thanks for the chance to win! I am looking forward to seeing all of the new release products! Lovin’ that Raspberry Fizz! Love the new raspberry color & the paper is amazing! What I like most about the set is that font combination, *wow*! I love the little skunk and that raspberry fizz looks amazing! Love the floral paper and what a cute little skunk! I LOVE it all!! I can’t wait to see the rest of this set and others!! The paper is on my must have list for this month as well!! Thanks for the chance to win!! Blessings and Hugs!! That little skunk is so cute — I can’t wait to see the others!! Wow, Nicole! I really love the new color!!! not to mention the pp is beautiful…I have lots of ideas for it already! Thanks for the chance to win! Just love the papers – so pretty and vibrant, and what a gorgeous skunk – I can’t wait to see the others in the set! Being a nature lover, I was intrigued by the skunk. I am looking forward to seeing his forest friends. Love it, as always! Stinky is a term of endearment in our family so this will be a necessity. And I love the raspberry papers! Can’t wait to see more of them. This is so cute! These would make great kids cards! Love it! The whole card is amazing. I love the paper and the retro! Whoo hoo- it is the 10th! What a wonderful color, so fresh and fun. The font used in the stamp set is adorable. Can’t wait to see what else Papertrey Ink has in store for me this month! Hooray – it is FINALLY the 10th again (the only thing better than the 10th is the 15th, LOL!) I love this little skunk – I already envision using him in cards to my hubby the next time he deploys “Being apart from you stinks!” Thanks for the chance to win him Nichole! What an adorable sets and wow what awesome ways to add a scent to a card..
Really cool stuff. Can’t wait to see the whole release! Pink is one of my favorite colors….so I LOVE the Raspberry Fizz papers! I don’t have many stamps that I could use for kids cards so the critters are just what I need. How cute that little skunk is! And that paper looks amazing~thanks for the chance to win! I always look forward to this ‘time of the month’! I can’t wait to see the complete set. And the paper is beautiful. I love this time of the month. That skink is adorable and the raspberry fizz paper – completely aweseome. I love how you paired the two together. I can’t wait to see the other sneak peaks through out the week. Thanks for the opportunity to win such a great prize. This is such a cute set and WOW that paper is bright! Love it! Fabulous new color and cute critter! And the paper with more stamps to look forward to next month … what fun!! So now I know i have to buy some more stuff!! Loved the paper, the color and the little skunk! Here I am up at 4:15 a.m. to see what Nichole has to show us today. I am only the 100th or so to comment. Wow, you guys are truly early birds. I am loving the idea of Forest Friends and sentiments. The paper? Wow!!! Love the new paper and super cute skunk! Let the fun begin!! It will be hard to wait to see all of the sets, papers and ribbons in this release! Thanks for the chance to win. I love the raspberry color! I am a pink lover and this color is so rich and vibrant. I’m eager to see the rest of Forest Friends too! Love the skunk! So cute….can’t wait to see the rest. And love that Raspberry Fizz color. 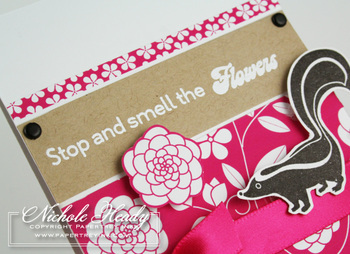 Love the little skunk, and how appropriate to have the word ‘flower’ as one of the sentiments used when you created your card! It reminded me of Flower the Skunk from the Disney movie ‘Bambi’. We live in the country, so we definately see all kinds of animals, can’t wait to see what else is in the set. Love it so far!! I have anxiously been awaitng today….the 10th….yippee!!! You make this so much fun for all of us, and I have never been disappointed. I just love the Rasberry Fizz, Looks like the perfect Valentine paper! Can’t wait to see the entire set of Forest Friends, and of course…the Sentiments! Thanks for the inspiration! Cute card!! I love it!! LOL that skunk is just too cute!!! love the black against that vibrant pink on the card! thanks for the mini tut on creating scratch and sniff powder! This looks like a really adorable set!! 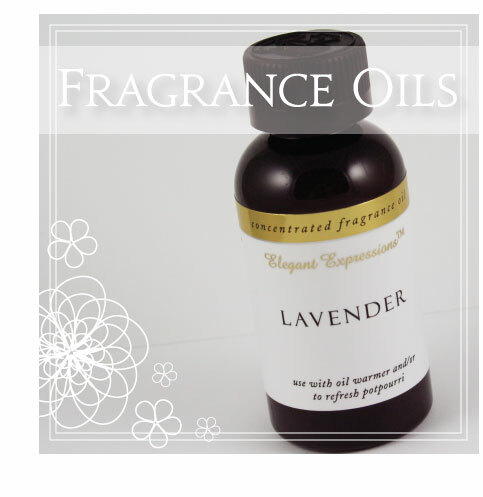 Nicole, thanks for the gret scent ideas….I have never tried them before, but will now! The patterned paper looks great, too!! Can’t wait for the release!! Love the Raspberry Fizz paper and the card is super cute! I’m looking forward to seeing the other animal images and sentiments. Love the skunk!! Can’t wait to see the rest of the set. Thanks for all the inspiration!! wow another great teaser. I cant wait to meet the rest of these little critters and love the paper!mmmm i will have to add some scents to my work soon; how clever! FUN! its so good to see fresh funky stuff coming up for the new year. Im personally sick of anything “christmas” related right now. Cant wait to see the other animals in the set they look adorable!! Also The pink of that paper makes quite a pop dosnt it lol. This little skunk is just the cutest! I love the sentiments too – they’re very fun! The new patterned paper is gorgeous too. So much to look forward to this month! So bright and cheery, just what the winter doldrums need!!!!! Those papers are gorgeous! Just what will be needed in January for thinking of Spring. Candice’s new set looks just adorable! Love the skunk! that is so cute!!! love the idea of mixing the scratch and sniff with the cutest little skunk i have ever seen!!! I love that adorable skunk. He is just so cute. And that patterned paper is great. What fun I could have with that. That is one cute skunk! And he goes perfectly with the sentiment (love the fonts) and papers. Looking forward to seeing the entire collection! Thanks for the chance to win. cant wait to see the rest. What a cutie! And how great is that for boys cards without being sports??? I think I might be in love. I hope the rest of the set inspires me as much as the stinker. Oh yes, he is so cute! I can’t wait to see the others! Raspberry Fizz looks so happy, too! Wow…thanks for all the wonderful tips and that skunk is really adorable. Who knew a skunk could be so cute?? Fabulous! I love Candice’s style – what a great addition to the PTI line! cute! love the razzberry with black & white! The Raspberry Fizz paper will really jazz up the bleak months of winter ! What a vibrant color. Can’t wait to see the rest of the forest friends set. LOVE that paper. Raspberries are my favorite so anything that reminds me of them is also a fav. That skunk is the cutest little guy and I love the fonts. Great work again! That patterned paper is just gorgeous! Love the color and I can see many uses for it! The skunk is so cute! I love the paper too. Great card! That skunk is too cute! My girls & I just love any kind of critter – we can’t wait to see the rest of the set! This paper is to die for! It is definitely on my “to order” list! And I can’t wait to see the rest of this critters set! Love those patterned papers. I immediately thought of some great color combinations! Man, I love everything I’ve seen so far! The new designer paper (got to have it! ), the skunk (got to have it! ), the new color (got to have it!) This is going to be another great release … outstanding job, ladies! The raspberry fizz and the animals are right up my alley! This is a set I would use over and over again…I am sure of it! Super cute! I love the font used for the sentiments! OMG, I love that hot pink!!!! The skunk is totally adorable, too. Thanks for the chance to win them! What a great skunk! And raspberry fizz is so fun and cheerful coming as it does in the depths of gray and dreary Ohio winter. I would LOVE to win these and play with them! Wow how cute I csn’t wait to see the rest of the critters. Love the papers too. Living in the midst of a National Forest, can’t wait to see the rest of the critters!…well done! He is so stinkin’ cute!! I can’t wait to see the rest of the set! I love a chance to win PTI stuff- this is going to be a very fun set to use… and the paper, OH, the paper! I love it! I love what I’ve seen so far and can’t wait for the release! I always look forward to seeing what you ladies come up with. Everyone is so talented and so nice for sharing all these great ideas! Too cute, can’t wait to see the other sets! okay Nicole-only you and your team of uber talented ladies could make a skunk be that cute:) 🙂 You girls are so brilliant!!! Can’t wait to see the other sneak peaks!!! That skunk is so cute! I am in love with the raspberry fizz paper! It’s gorgeous!!! What a cute little guy that skunk is, and I am in love with the new color!!! How adorable is that little skunk, reminds me of Pepe’ le Pu (not sure if I spelled that right). Love the papers too! Thanks for a chance to win!!! Love, love, LOVE that Raspberry Fizz paper! And anything by Candice just tickles me pink! The skunk is too cute! I love the paper! I am trying to use more designer paper in my cards. Thanks for all the great ideas! I looked through the supply list and didn’t see your bag listed – you know, the one you keep your tricks in because I clearly need an upgraded one of my own. That skunk is adorable, the font is delightful, and that color is dreamy. I was already excited about the sneak peeks, and now it looks like Christmas might come a little early for me this year. Thanks. What a cute set! Can’t wait to see the rest of the animals! And I love the new raspberry color! I’m imagining paper and ribbons in this color, too (*wink* – fingers crossed!). I just don’t how you do it – You and the Papertrey Ink team just continue to WOW me! This set will give us lots of different options to play with. I just love animals and the great themes you can come up with in designs. LOVE the paper – and thanks for the pellet idea!! Gonna run out and get some today. Wow! What a cute set!!! I LOVE the skunk. It makes me think of sentiments that drift off of the tongue of Pepe Le Peu! Yay! Love Love Love the skunk! I need this one! Love that Raspberry Fizz color and paper!! That will be a great set when it comes out in January. And the skunk’s pretty cute, too! Wow, I love the new color! The skunk is so cute, and I can not wait to see the rest of the sets revealed this month. Just love your countdown each month! Looking forward to seeing the other forest friends. Wow! Love the skunk and the new color! The patterned paper is so cool! I can’t wait to see more! The skunk is so cute and I really like the retro font that Candice chose. But, I really like the Raspberry Fizz paper. So bold and bright. This is very cute and I love the new paper! That raspberry fizz color looks so bold and fun, can’t wait to use it. And I can’t wait to see all of the friends in the Forest Friends set. Love the Raspberry Fizz!!!! The skunk is very cute too. Can’t wait to see the rest of Forest Friends! The stamp set looks adorable! Can’t wait to see the entire thing. I absolutely love the new paper — great color choice! Oh, the patterned paper is Beautiful! What a great way to showcase the cute little skunk! Can’t wait to see the rest! WOW ! I love the colors, the stamps and the patterned papers and the skunk is so cute ! I love your stamps ! I’m absolutely in love with the forest friends stamps AND the new papers! Everything looks wonderful! I’m off to visit the other blogs to see more! I love me some pink papers! this set will surely fill the void in my collection of stamps!! too cute!! Love the Rasberry fizz! Also, the skunk makes me think of the skunk “Flower” in Bambi – he’s so cute!!!! Another amazing set Candice! The paper is beautiful!!! And the skunk is too stinkin cute! I love the paper – what a wonderful color and the patterns are fantastic! I am looking forward to seeing all the stamp sets in store for us! LOVE IT…. LOVE IT… what more can be said? TOO CUTE!!!! That is sooo cute! I cant wait to see the rest of the set. Adorable card! That paper is so pretty! I love all your scent tips too…never thought of those, thanks for sharing! Woopee! Can’t wait to see all of the new sets! I have all of Candice’s sets so far and I’m sure I’ll be purchasing this one as well. Can’t wait to see the rest. Love all your ideas!! So clever!! Thanks for the chance to win, can’t wait to see the other releases. Oh I can see how much I am going to enjoy this months release… I really could just eat that paper and that skunk!!! Can’t wait to see the other critters! I am IN LOVE with the paper!! I am also IN LOVE with Papertrey products, my creations have never looked so professional. Thank you thank you!! I can’t wait to see the entire set. I am trying so hard to ‘think outside the box’ with my stamping by using new stamps (not just flowers etc) and new ideas. You are answering all my needs so far. Thanks also for the ‘adding fragrances’ ideas. I can’t wait to get to Walmart!!! What a fun set of what I can see. The skunk is just too cute. Thanks for the chance to win. Oh these are beautiful! I love the colors too! Love the cute skunk and the patterned paper (I’m addicted to patterned paper). Can’t wait to see the rest!!! Who thought skunks would ever be so cute! I can’t wait to see the rest of the set & the sentiments that go with it. I’m loving the Raspberry Fizz color as well. That little skunk is too cute! Love the font and the Raspberry Fizz Mix papers. The bright pink of the patterned papers is just so cheery – just what we need for the drab winter! That Raspberry Fizz paper is AWESOME! And LOVE the fonts used in this set as well. PTI and Candice have created another MUST HAVE set! Love the hot pink! Another fabulous hit from Candace! I am so excited to see the addition of the woodland critters—so cute! Plus the paper is so bold and bright and I love the raspberry color! Love the Rasberry Fizz paper!! Can’t wait to see the rest of the critters in the stamp set. I love the new raspberry fizz paper! The skunk is adorable too. I can’t wait to see then entire set. Cute skunk. Love the paper!! OMG, that paper, gorgeous!!! Can’t wait to use some of it, love the color. so “Stinkin” cute! I love the bright pink with the black and white! Can’t wait to see the rest of the family. Love that cute little skunk! The paper is wonderful, and I really like the idea of adding a scent to your cards. Very creative! This looks like a cute set. I can’t wait to see the whole thing. And I absolutley LOVE the new paper! Very tempting….can’t wait until tomorrow to see more! I absolutely LOVE the paper for December!!! I have used scented embossing powder on my projects, but I will have to try those scent bead things! Thanks for more wonderful ideas!!! Can’t wait to see the other critters…that skunk is so “stinkin’ cute”! I just love the skunk! I am super excited about this new release!! I love the new raspberry color. It’s so vibrant and fun. Looking forward to seeing the whole set. I Love this “time of the month” Such creativity and fun. I never thought about making scratch and sniff cards before! I am definitely going to have to try that this weekend! I love Candice’s set! I can’t wait to see it in its entirety! Looking forward to seeing all of the December releases. I am in love with Papertray…. I love the new paper and the new raspberry color! Thanks for sharing your great ideas! Love the little skunk cutie! I can’t wait to see the rest of the set!! What a cute little guy!! I can’t wait to see the entire set. The skunk us adorable! Can’t wait to see the rest! Love the cutie skunk! And Raspberry Fizz – what a great name! I am in love with that little skunk! Can’t wait to see the rest of this set! Funky fun! Love the new papers, especially the written one. Just that little different spin on things you do so well. I’m excited to see the rest of the set, and everything else this month. Love the paper. Thanks for the chance to win! What a great color to introduce during winter – it just pops! I can’t wait to see what other animals are in the Forest Friends set. Love the new paper and can’t wait to see the set. Will my daughter’s long-wished-for beaver stamp be included? Wonderful reveal love the patterned papers. What a fun little skunk! And that is some peppy paper, too! Whoa! That color and those patterns would be great for any hot pink-loving little girl like mine!! Love the new set and paper. Very pretty. I think this set would be a good addition to my collection. Wink, wink! Wow that skunk is so cute and the paper is so “hot”! I can’t wait to see the rest of the critters! When my youngest was about 3 yrs old she spotted a skunk in the backyard and I’ll never forget her expression when she said “look, there’s a stunk”! Very cute! Candice’s sets always have nice little details and I bet the rest of this set will be fun to play with!! Gosh, this is so darn cute! I can’t wait to see the whole stamp set! Thanks for the chance! Cute set! I love the patterned paper. I always look forward to your new releases! That skunk is just too cute!!! Love the bright colored papers. Oh how beautiful!!!!! Can’t wait to see the rest! Love the skunk and love the paper. :)Great project as always. The scratch n sniff technique lends itself beautifully for this cute stamp set. Can’t wait to see the entire stamp collection. Raspberry Fizz looks so bright and fun too! I love the papers! The skunk is cute too. I can’t wait to see the stamp release for this in January. I’d love to add this to my collection as it would be used often! I love that skunk, and I would love a chance to win! The little skunk is so cute! I can’t wait to see the rest of his friends. Thanks for the reminder about adding scent to my cards. I haven’t utilized that technique in a several years. Love, Love, Love the pink paper! I love, love, LOVE the Raspberry Fizz paper!!!!!!!!! I can’t wait for the release!!! Raspberry Fizz is such a great color and name. If the rest of the nature set is as cute as the skunk, it’s a winner. Love your card as always. Who would have thought a skunk could be so cute? What a great idea and even better used with that cool paper. That little skunk is soooooo stink’n cute! I can’t wait to see the rest… absolutely LOVE the papers! I love the Rasberry color of the new paper and that skunk is just tooooo cute! Can’t wait to see the rest of the critters in the set! Too fun! The skunk is adorable and I can’t wait to see the other critters. Also, I have to say, the raspberry fizz paper is an absolutely beautiful color! What a cute stamp set! And, I love the vibrant pink of the Raspberry Fizz, too. What a cute skunk and I love the pattern paper!! Looking forward to the rest of the countdown. I LOVE “punny” stamp sets and Forest Friends looks like it will be a MUST HAVE! ADORABLE! That little skunk is too cute! I can’t wait to see the entire set. And how bright and fun is that new color! WoW awesome,You guys at papertrey never cease to amaze me. Love that little skunk he is adorable. Adorable set…love that paper too! Looking forward to seeing the rest of this cute stamp set. Also, you have such innovative ideas on how to make scented cards! Love the new paper. You now have me looking forward to the January release of the new set too! Thanks for the chance to win! The skunk is so cute! I can’t wait to see all the other forest friends. Hmmm — what will they be? I also love the raspberry paper. I skipped ordering anything last month, but I think I’ll more than make up for it this month! I absolutely love the color and graphics of this month’s paper collection – am going to really love it if you eventually have ribbon that color too! I love anything from nature especially little creatures. I guess its to early yet for candices post. Will check back later today. Each month I fall more in love with your company. Wow! I just love the raspberry fizz paper! And the little skunk is just too cute! I can’t wait to see the rest! I’m so surprised! How wonderfull!! I am very curious to see the whole set!! and the paper, so mmmm…. The skunk is adorable and I love the combination of the fonts! I cant wait to see this whole set! I know I am going to love it. Too Stinking Cute… Love the skunk and love little animal stamps. I also am in love with the new paper. I love bright exciting colors and paper. Thanks for the chance to win! Great color combination–love that color (especially nice here since we’ve had so much snow and dreary weather lately!). That skunk is adorable! I wonder if I can convince DH to wait until the 15th to place a Christmas gift order. . . Such a cute skunk, but can invision creating great little boy/big guy projects with this critter. The fonts you give us are the best. You and Papertry rock. I can’t wait to see the rest of the animals…the skunk is so cute!! And I just LOVE the raspberry paper and ribbon. That color is going to be a favorite of mine for sure!! wow that skunk is the cutest little thing I’ve seen for a while and the patterned paper is beautiful. Can’t wait to see the entire set. The skunk is so cute and I love that retro font!! Cute new skunk and fun new color! I’m going to love “Forest Friends”… Being in nature is one of my loves. And, I think the color and critters will make cute Valentine cards… Can’t wait to see the rest. Very cute stamps and the love saongs idea is brilliant. I will need more than 1 order of the Raspberry paper…love the bold color and paterns. I can see my Santa list coming together! Wow – loving Mr. Skunk and his ‘extreme makeover.’ Very cute. Great information on adding scent. Thanks for the opportunity to win! Oh my! That little skunk IS adorable! I think I hear my wallet calling! And that raspberry fizz color is awesome! It’s bold without being too bright! This is my favorite time of the month! I love seeing all the new PTI goodies! And I love the idea of those potpourri pellets! Very cool and inexpensive. So stinkin’ cute! And that paper…gorgeous! OMG that is the cutest thing ever! Can’t wait to see the rest of the set! I love all of the new sets (at least the sneak peeks of them)! Thanks for the chance to win! 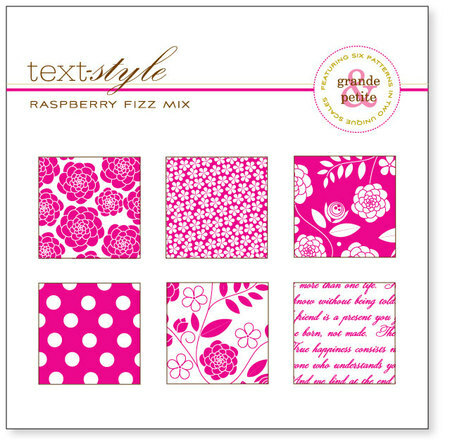 love the raspberry fizz paper and the retro fonts….can’t wait to see the release! Supah cute! lovin that rasberry fizz paper too! Woo Hoo! Raspberry Fizz is such a terrific color! And the Forest Friends are so cute! What a great start to the countdown! As always, your style shines through in all your cards! This stamp set is incredibly cute and I love the paper too Another hit release is on its way! Isn’t a skunk one of those things you have to have in your collection? He’s darling! I love the font on the saying also. But my favorite is the pink paper. I love the patterned paper. Too cute. I always find such inspiration here. Thanks! fun! fun! fun! it seems strange to be getting away from christmas already! these are absolutely darling though. That Raspberry Fizz paper range is so luscious!! I can’t wait to see the full set. Animal sets are a must have. They can be used for many occasions and work well for male and female cards. I can’t wait for the full release. Thanks for sharing the great ideas of adding scent to our projects. Love!!!! the raz fizz! So cute! Can’t wait to see the rest of his friends! That raspberry paper is delicious! Excited about the rest of the releases!!!! Looking forward to seeing the rest of Candice’s set. Beautiful paper. 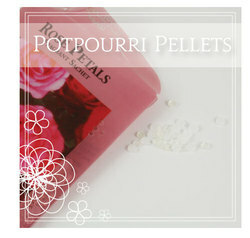 I can’t wait to try the potpourri pellets!! And the skunk is cute as can be!!! LOVE LOVE LOVE the rasberry paper. First thing on my purchase list!! See, what I love is that you go all the way with your projects and posts to be super helpful to us. You didn’t just pick ONE way to add scent to your card…you gave us 3-4 different ways in one blog post. That’s what sets you apart, IMO, in the blogging world! I can’t wait to see the rest of Candice’s critters. With 5 nephews and another due this spring, I’m always interested in animal stamps — especially the cute ones! And I can’t believe the raspberry fizz paper — LOVE it!!!! I’m assuming (fingers crossed) this means a coordinating raspberry c.s. and ribbon, too? That would be perfect! You don’t know how much I would love to win!!!! I love all of Candice’s sets and the new color is so beautiful!!! OHHHHH WOW!!!! The raspberry color is just gorgeous. I love it! And the skunk….too cute. I really need this set! I have problems with skunks coming to my back door at night to nose around in the cat food bowl. Would love to win tonight. Love the bold color of the Raspberry. What cheerful cards this color and patterened paper will make. I also like the idea of adding a fregrance to a card. Thanks for the ideas. Oh wow! I love that little skunk! And I really love the sentiment! Can’t wait to see everything this release!! I LOVE, LOVE, LOVE the Raspberry Fizz Mix paper. I’m thinking Valentine’s cards! Love it! Love the new stamp set, love the color, love the printed paper- and I’d love to win it! I am loving the new pink papers and if the skunk is just a sample of what’s to come, I can’t wait to see them! Can’t wait to see the rest of the collection and the Raspberry Fizz paper is right up my alley! what a great idea with the scratch and sniff! i love the little skunk too, what a cutie! As always PTI releases are so exciting! I really like the hot pink patterned paper, can’t wait to mix it up with chocolate brown in my projects. I have never done any scratch n’ sniff project, that is a great idea, can’t wait to try it! A sweet smelling skunk, and raspberry fizz paper! How exciting a card is THAT?! I love the font of the sentiment, too…this set is sure to be a favorite for spring! I love the new Raspberry Fizz. Can’t wait to get my hands on it. I am sooo loving Candice’s set! And it is a perfect match with the patterned paper. Oh, I’m so excited to see the whole set!! This is adorable and LOVE LOVE LOVE the new paper. It’s one of my favorite colors.. You guys always out do yourselves!! I love the skunk and the sentiments. What a cute stamp set! I can already tell that I’m going to love this set. Can’t wait to see what else is in the set. I would love the opportunity to win all these goodies. Pick me, pick me! I am in love with that YUMMY paper. Looking forward to seeing the other critters, bet they are just as adorable. 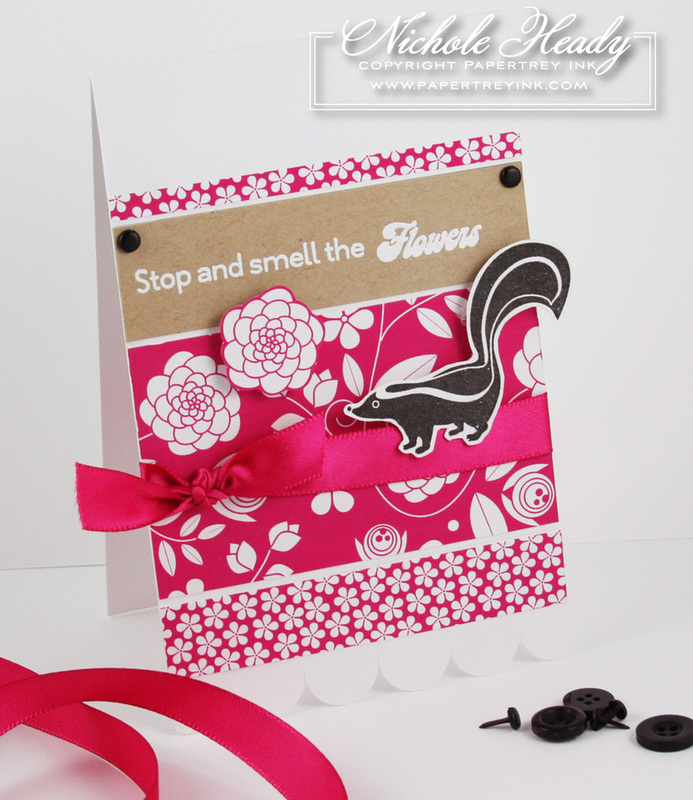 I ADORE the card you made using the skunk, Forest Friends sentiment and the Raspberry Fizz Mix paper is delightful. And that also means Raspberry Fizz is a Perfect Match color with all the wonders that go with it like cardstock, ink, ribbons, oh my!! Thank you for the chance to win. I love the forest creatures!!! We just moved into a home that backs onto a preserve and have been watching a family of possums and another of bunnies!!! Thanks for the chance to win this great set!! I can’t wait to see what other animals are in this set, I love the skunk!!! This card is adorable! And the bright pink paper is TDF! I love PTI and this set looks like it’s going to be super cute. The raspberry paper is great too. I’ve asked for PTI gift certificates for christmas and hope to get many. The little skunk is so cute. How often do people say that about a skunk? I can’t wait to see what the rest of the set looks like. Great idea Candice! Cool Papers! The color goes great with the retro font. I LOVE the new paper! Great color choice! i love, love, LOVE the new forest creatures set – i can’t WAIT to see the entire set! thanks for the opportunity to win it before we can buy it! That Raspberry Fizz looks mighty interesting! I can’t wait to see it IRL. And I wonder what else is in that Forest Friends set? I just love this little skunk and it makes me wonder if my favourite forest-animal the squirrel will be included in the set too! Cannot wait to see them all…. Can’t wait to see the rest of Forest Friends and that Raspberry looks yummy! Thanks for the chance to win! I can’t wait to see the rest of the critters. Candice always does such great designing-love her sets. The 15th can’t come too soon. Thanks for a chance to win. Well – my wallet is ready! I love the songs set and the new paper. Can’t wait to see the January stamp set to go with the paper. I haven’t decided on the animals yets but probably will get them also. The Raspberry Fizz mix looks really good, but I’m super excited about seeing the rest of Candice’s set! My husband is the “outdoorsy” type, so I’m hoping for some cute creatures for him! Raspberry Fizz- cool name for a cool color! I just love fuzzy little critters!! Hope there is a squirrel! Eight year old DD is excited about the pink!! What an adorable sneak peak! I love the mix of fonts, how fun! Can’t wait to see everything! Dying to see these IRL. I think this stamp set will be fun – Nimmy. This set looks adorable and that paper is gorgeous! Love the colour. Great idea using the oils. I would have never thought about that. And the little crystals, so smart! OMGoodness, I so love the new dp pack for December bold patters and bold color my FAVE mix! I have tried the kool aid with clear embossing power used it with the Pumpkin from PTI’s Spooky Sweets set on Thanksgiving cards last year. The little potporri dots is a great idea thanks for the tip. so cute!!!! I just love the excitment of every release!!! Thanks for the chance to win. That little skunk is just too cute…I can’t wait to see the whole set! Love your creations, you are such an inspiration to me. Very pretty paper! Love that pink. The retro font really tweaked my interest- I can hardly wait to see the other sentiments. And the skunk reminds me of an old novelty toilet seat that my aunt had (way back when). So cool. Thanks for this, Nichole. some great ideas and what a fun stamp set. I like doing cinnamon and EP for gingerbread stamps. Because some folks are sensitive to perfumes, I am careful to whom I send scented cards. Oh, this is stinkin’ cute! If a skunk could be considered cute, this one would be it! So glad the natural scent is not included. Ha! Looking forward to seeing the other images. I love the stamp set! I can’t wait to see the rest of it – especially the critter that goes along with the saying that you showed earlier this week! I wonder if it’s too late to get a request in to Santa. I’m hoping for new goodies under the tree this year. Looks like a great bunch of products. I can’t wait until the 15th!!! So cute! Wow! That is bright. Can’t wait to see the upcoming projects! I love, love, love the color of the paper and the skunk is super cute. 🙂 Can’t wait to see more. Nicole! You think of everything!!! I was thinking of a cool way to “dress up” some fun cards for my young neices to use as Thank you cards… .this scratch and sniff idea is the bomb! Thank you so much!! I love this skunk!!! How cute!! Can’t wait to get mine. I LOVE LOVE LOVE that pink paper! Egads! This is so cute. I love that paper! I can’t wait to see the whole stamp set! Well that sentiment is just perfect for so many things. Can’t WAIT to see the rest of the set! And raspberry fizz is DELIC! Love the card, love the paper, love what I can see of the stamps ….. can’t wait for the unveiling. Knowing that the skunk is representative of the rest of the set means this is going to be really stinkin’ cute! I wasn’t sure what to think when I saw the sneak peak with the skunk. Seeing today’s project though has intrigued me to see what else is part of this set. The paper is very vibrant! A nice hue to make you start thinking about Valentines. Love the color of the patterned paper! The skunk is really cute. Can’t wait to see the rest of the set and the sentiments. I love the paper! It looks like a fun color with fun prints! The skunk is really cute, but I really want to see the other animals in the collection. This is so very cute and while I like the skunk, I like the squirrel I saw on Lauren’s blog even more. THe raspberry fizz paper is wonderful! The skunk stamp is so cute! I can’t wait to see the rest of the set. I love, love, love the new Raspberry Fizz color- it’s just gorgeous! That is such a “stinkin cute card” :O) How do you gals come up with these ideas!?!? The paper is gorgeous, the sentiment is so practical. Especially during the holidays… you know what I mean!!! Thanks again for sharing such creations with us. So cute! Thanks for the reminder to use some of our “older” tools and techniques. What a treat! i’m loving the raspberry color, and definitely excited to see what follows in next months release. The skunk is too cute for words. Thanks for the chance! Love the skunk, can’t wait to see the rest. the paper is beautiful. Oh what gorgeous paper, Nicole! I always love this time of the month!! Thanks for the chance to win. I can’t wait to see the rest of the woodland creatures, and the fun sentiments that go with them! Love the simple lines that define the skunk so well. i really love the color this month, so beautiful and bright! and the papers are gorgeous! I really like the fun, funky colors this month, very fresh. The skunk is adorable, want to see the rest of the set, and thanks for a chance at some goodies. I love this paper! The color is so beautiful! Oh my gosh, the chance to win is too exciting! How cute is that little skunk! I am excited to see the rest of the set! Woodland creatures are right up my alley ~ and you can’t go wrong with free either 😉 ! I love the little skunk! What a bright and vibrant color. Makes me think of raspberry sherbert and I adore the the stamp sets. Thanks for the opportunity to win. Alice R.
oh so cute I just love everything each months release keeps getting better and better. I love the new color. Can’t wait to see all the releases! I am loving the raspberry Fizz paper! WOW! very amazing! Oh this color is beautiful-I would love to use it for Valentine’s Day! Wow…Guess I’m the 408th person to comment! What a fresh and unique set! The image is so cute, and the papers are so vibrant and pretty- As usual, a great teaser! Ca-YUTE!! Love that vibrant new pink, and am drooling at the idea that we’re maybe going to get some PTI black – soon, right? Loved your ideas on how to scent your cards – all great, as usual! Can’t wait for more peeks!! I love forest animals since I live in a National Forest! Looks to be a great set! Love the set–and the bright colors in the paper. Can’t wait for release! That is the cutest skunk…I love woodland creatures…thanks for the chance to win! My favorite time of the month has arrived again when I can see all your wonderful creations unfold. I love the font for this set and the skunk is so sweet! How cool is that?!?!?! I was just thinking recently that we haven’t heard from Candice in a while. Glad to see she is still with PTI!!! Such a cute little skunk. Oh & I love the raspberry fizz paper… fabulous! Cant wait to see the coordinating stamps next month. 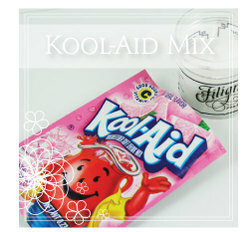 TFS the tidbit on the kool aid & the potpurri pellets, I have yet to add scents to my project & cant wait to try it out! Candace’s sets are amazing…I’ve been looking forward to her latest release! As always, great work at PTI! I love the paper. The color is beautiful. The skunk is pretty cute too. Adorable card! Love the new pink papers. I can’t wait to see the full set, it looks to be so cute! Thanks for the chance to own it. Super cute!! I always look forward to release week and all of the new ideas! once again, I’m loving what I see! Can’t wait for the full reveal in just a few days. beautiful patterned paper! love it – I have done that scratch and sniff technique before but it’s been a while. great card! Love the vibrant colors to your card! I really like the skunk stamp and the sentiment goes perfect with it. I’m looking forward to seeing the rest of this set of stamps!!!! I love the pattered paper and the color…it’s very funky! This is the cutest skunk ever and cannot wait to see the whole set. Definately a must have!!! I’m loving that paper!!! Thanks for all the great tips on smelling cards, so much fun! Thanks for the chance to win! I love it! The bright colours and the little critters are perfect for all year around, but looking forward to spring I have a thousand ideas for them already. I can’t wait to see the other critters. I love this little skunk and can’t wait to get my hands on the raspberry fizz! Awesome job, ladies. Can’t wait until the 15th. WOW! Love the colors and the skunk is just adorable. Can’t wait to create cards and frames with this set – and add some camping photos! Perfect! Love that cute little skunk! And the new patterned paper is yummy too. I particularly like one of the flower images on the paper that is circular with layers in the shape (surrounded by leaves). I’m hoping that’s one of the flowers in the January set! Thanks for more ideas about adding fragrance. Appreciate the chance to win! You have me intrigued about next month’s sets! Do I see button flowers, or mums in our future? Or even those swirley, scribble-type flowers that you have on the transparent overlay in the scents you show us? I would love any of those! That patterned paper is beautiful! I love the rasperry and black combo. Thank The lord my husband gets his bonus this month. I can tell already I will be going over my scrap budget this month. I have gone over my budget for three months since I discovered Papertrey! HA! LOVE IT!!! It is not even 12 noon and there are already over 400 posts. SHEESH! You are getting more popular every month. Congrats! You are by far my favorite stamp company. Love the black and white of the skunk with the raspberry fizz–too cute! OMG Nichole, I love the Raspberry Fizz paper, pink is sooo my favorite color! This skunk is so cute!! Can’t wait to see what other critters are in this set. I love this paper. I think I would go to it over and over. I have not used scents in my cards yet, but will soon. My doughter gave me a card one time with a scent and it was wonderful. So far I am lovin’ what I see. The skunk and the raspberry paper are adorable! The skunk and paper are adorable. The raspberry fizz is easily my favorite color PTI has released. I am in love! Thanks for all the info about adding scent to my paper projects. We love being out in the forest, so this would be perfect set for me. So Cute! I love it! That skunk is adorable. Love the retro lettering too. Looks like another must have set. Congratulations! How cute is that? I love cute critters and will be so anxious to see the entire set! Wow, this looks fabulous! Love the groovy papers! Oh, what a cute set this is going to be! LOVE the paper pack designs! Thanks for posting the tips on making your own “scratch-n-sniff” elements … that’s so cool! Looks really cute. I can’t wait to see the whole set and I love that Raspberry paper. This looks so cute! I love the fonts and the papers are gorgeous! Hope I win! These sets look so cute! I love the fonts and the papers are beautiful! I can’t wait to see the rest! Can’t wait to see the rest of the forest friends set! New toys! Just in time for Christmas!! Love the skunk! I can’t wait to meet the rest of his forest friends. Love the bright colors and the skunk is so darn cute! WOW – I love the patterned paper, very different for PTI! Can’t wait to see what other little forest nimals are included in the set – too cute! I love the color!!! I cant wait to see the whole set! That paper is AMAZING! I have the pink pack and LOVE LOVE LOVE it! I’ll have to get this one too!! I love the new Raspberry Fizz paper! And I can’t wait to see all of the critters in Canidce’s new set! And thanks for bringing back the Kool-aid with the embossing powder technique! I’ll have to make some cards with that technique this week! Oh I love that raspberry color – beautiful paper!! The skunk is so darn cute too! Can’t wait to see the rest of the set! LOVE the patterned papers! The skunk is cute and the Retro font is awesome! I can’t wait to see more!!! Wow! I love the new color!! Beautiful. can’t wait to see the rest of the stamp set. I really love the Rasberry Fiz!! Cant wait for it to come out!!! That skunk is TOO CUTE! I love the little animal images- they are so versatile! I can’t wait to see what other little critters are included in the set! Love the raspberry fizz paper! Cute stamp and sentiment! Oooh, I LOVE that raspberry color! How I would love to win it! Thanks so much for the chance! I love the new papers! I’m loving the paper pad! That large flower is calling my name! Love the skunk and I hope there is a dear little deer in the set as well….hoping, hoping, hoping. THanks! The new set of paper is absolutely beautiful. I can’t wait to create some new cards with it. I’m also looking forward to seeing the stamp sets being released this month. I am feeling so very lucky b/c this year my two best friends asked what I wanted for my birthday (it’s next week) and I told them Papertrey gift certificates. Yipee!!!! I LOVE the skunk! And, thanks for the idea of adding fragrance to my cards. I had never thought of that! Cute skunk and the pink papers are very girlie. Can’t wait for the 15th. This time of the month is so fun!!! I would love to win this cute set. Can’t wait to see what else you have going on this month! I love that skunk! And I’m not normally a pink kind of girl, but that raspberry is a gorgeous color. Really, really cute card – thanks for sharing! I am infatuated with Raspberry Fizz! I adore the pizzaz of it! The critters are sure to charm me as well. Oh so cuuuute! Can’t wait to see what will coordinate with that paper also! Love it! OH..I cant wait to get the Rasberry Fizzz…I am thinking we will have paper and ink and ribbon to match..just a wild guess…I so love Papertrey products! That skunk is so cute! Can’t wait to see the rest of the set. Can’t wait to see the rest of this set – and the paper – Raspberry Fizz – hmmm wonder if there is MATCHING CARDSTOCK ?? Love it! Beautiful paper and that skunk is so cute! Thanks for the ideas for scenting our paper crafts. I LOVE LOVE LOVE the pink!And that skunk is just adorable! Really? Do I HAVE to wait till January, I want to see that stamp set NOW! That raspberry colour is DIVINE!!! I agree- the font Candace has chosen for her set is so retro and funky…I just LOVE it!! So adorable, can’t wait to see the rest of this set. And thanks for the great ‘scent’ tips – I had only tried the kool-aid scratch and sniff — but will now try your other ideas. The Raspberry Fizz paper is great! Thanks for sharing the ways to add fragrance to cards. What a cute little set this is going to be..I wish I could see all the little critters..looking forward to working with it!!! LLOOOVEEEE that colour! And the skunk is so cute. How cool! My good friend would love this set as it is so up her alley. I’d love to win it for her. Thanks for the chance to enter. Who would think a skunk could be so cute! Wow! I just love the new raspberry color and the little skunk too! I’ll bet the rest of the set is just as adorable. Thank you for the chance to win. Thanks for all the great scent ideas. Can’t wait to see all the new goodies. Love the skunk & the beautiful paper. Wow, what a vibrant color, and cute stamps! I can’t wait to see what the samples are with this! FUN!!! I can hardly wait to see the rest of the set. I remember when scratch and sniff pens were all the rage. My kid were going through my stuff a couple of weeks ago and found some. They think I have the coolest collection around. Love it! It is certainly my favorite time of the month! Thanks for the great ideas once again! I adore the paper too. The minute I saw it I was hooked. And I love all sorts of furry little creatures, the cuter the better. I can’t wait to see the rest of those cute critters. That skunk is adorable. Love the new paper – so bright & cheery. I don’t think I can help much with scratch & sniff suggestions as I have no sense of smell!! The skunk is real cute – looking forward to seeing the rest of the set. I can’t wait to see the entire set of critters that Candice created. I think that December 15 will be a very merry Christmas for me. Thank you for the chance to win these items. i’m wondering what the other critters are! hope there’s a lion or cat! And i love the paper too. I love the skunk and the brightly colored paper too! Gorgeous! Thanks so much for the chance to win PTI’s latest releases!!! Love, love, love the raspberry fizz color!! Love the fonts used for the sentiment. And the ways you’ve shared to add scent to projects is really cool!!! And a giveaway to boot???!!! WOW! How cute! I would love to win! I love this set by Candice and would love to win! The skunk is so cute – I can’t wait to see the rest of the set! I love the font combination on this set. And the patterned paper will certainly find a new home with me. Looks great so far! oh I can not wait to see what the rest of those stamps look like!!! Love the raspberry fizz very psychodelic and love with the skunk. CUTE. cute stuff! that paper is fantastic!! Using fragrance oil on cards is such a smart idea! I have tons of left over scents from making soaps and lotions a few years back. Thanks for the idea. Love the raspberry color. I can see using a lot of it for ‘tween girl birthday cards. I can’t wait to see the rest of that cute little skunk’s family! the raspberry color is very nice. Ooh – hot pink raspberry. Another yummy color. I know I’m going to love Candice’s animals. That skunk is so cute and reminds me of the skunk in Bambi saying ‘He can call me Flower if he wants to”. Woo-Hoo! Another beautiful one Nichole and the skunk is soooo cute. Wow, I love, love, love the new paper and that little skunk is just about the cutest thing around! Can’t wait to see the whole set! omg! that skunk is so cute! love, love, love that paper!!! yay! can’t wait to see more! As usual everything is so cute. Being said, it is always hard to choose when making up an order. Love them all!!!! Oooohhhh, you just can’t go wrong with pink! Can’t wait to see the rest of the little ‘critters’ The skunk is sooo cute. I really love the papers for this month. I can’at wait for this release!! Dang that’s a cute skunk! Love the idea of the koolaid!! Thanks for posting that idea! I JUST CAN’T WAIT TO SEE THE OTHER LITTLE CRITTERS IN THIS SET! I love that skunk with his wonderful fluffy tail! and the colors are splendiferous! thanks for the tips on adding scent to our cards too! How fun! I’ve been wracking my brain trying to think of a forest animal that gets stuck. I love that Raspberry Fizz color and the one paper with the writing on it – makes me smile! thanks for the chance to win! How Stinkin’ Cute! I love the skunk and the colors too! Raspberry Fizz….yum! What an adorable skunk!! And the new color is to die for!! very cute and quite different from other I’ve seen, can’t wait to see the other animals! You guys always amaze me! Love the new set and paper! I can’t wait to look for the potpourri pellets, i’m always at Walmart. Ugh, I could live there with 4 kids, we always need something! It’s always fun to see what fun things are being created here! How absolutely adorable he/she is!!! Your new paper looks yummy enough to eat! Love, love, love raspberry!! I love the new paper set. What a cute skunk. This is sooooooooooo stinkin cute! I love the card, love the stamps, and the PAPERS! I am just swooning with excitement! I love the raspberry fizz paper and the pellets. The skunk is adorable. When I saw it, I was reminded of the skunk that caught itself in an open cage at my niece’s home in Tucson. Her children made a video of him doing his “flower” dance in the cage (while keeping their distance, of course) before they let him go on the edge of their property. Their report is that this little guy’s fragrance is not one we would like to send in our cards. I look forward to the reveal on the 15th to see more of Candice’s stamp set as well as the other PTI wonders. By the way, I love your idea of sending scents with all the textures. There must be a raspberry KoolAid that would work with the Raspberry Fizz paper collection. I hope that there will be Raspberry ribbon, solid card stock, and ink released on the 15th also. Thank you for the opportunity to win the collection. I always look forward to the new releases and all the sneak peaks and projects leading up to them, and this month is no exception! We’re off to a very fun start! The skunk is just adorable and I love the new paper. I can’t wait to see the rest of the set! Pick me! Pretty Please! LOVE this patterned paper. You always seem to release these must have products, seriously, you are amazing! You new paper is my favorite shade of pink and i have a thing for North American mammals – our only indigenous mammal here in NZ is a bat! I am amazed at the vibrancy of the paper! I cannot wait to see all of the sets!! So super cute and I am in love with the paper and colour!! Cutie animals and a gorgeous new color! YUM! What a cute set – I love animal images! Also, a bright color – looking forward to seeing this new one! Love, love love the Raspberry Fizz Paper…it looks just fabulous with black and white stamps. Can’t wait for the rest of the forest critters~bet they’re as cute as the little stinker! The Raspberry Fizz is wonderful; I’m a huge fan of all shades of pink! Thanks for the chance to win! Love the little skunk. Cute card. I also like the patterned paper and colors. Can’t wait to see the rest! Whoooo!! Its so cute! I can’t wait to see the rest! love the color of that dp! and the name is so cool! this set looks adorable! Phew…(LOL) love the skunk and the idea of adding smells to cards! The skunk is so cute. I can’t wait to see the whole set. The raspberry patterned papers are beautiful. I love the skunk. Can’t wait to see the rest of the set! The paper is gorgeous and the stamp set is going to be awesome. I love everything Candice designs! Oh, the bright colors are so cheerful! What a happy thing in this crazy world! Oh my gosh, I would LOVE to win this! I love animals and am always drawn to cute animal stamps so I was really excited when I saw the preview of this set! I just sneaked a peek before a big stampin event tonight. I couldn’t resist as I had to get my PTI fix. Once again, you and your team prove to be trendsetters. I love the retro feel of the stamp set. The paper is so IKEA!!! This set looks adorable from what I have seen so far and can’t wait to see the Raspberry Fizz paper up close! I was wondering about this set when I saw the skunk in the preview. I love the retro font with it! That really make the skunk funky! Very clever and fun. Love the idea of using a scented, scratch and sniff related…thankfully, not the classic skunk smell. Love the pattened papers. Looks like fun! I love pink and those papers are simply divine. I am constantly amazed at the creativity of the designers. I am addicted to your blog! LOVE the bright raspberry color. Also can’t wait to see the rest of the cute critters! Fantastic pattern paper! Can’t wait to see the rest of cute critters! Thanks for the chance to win. Everything looks really great! I love the name of the new paper collection, raspberry fizz makes me smile every time I see it :). The stamp set looks very cute. I adore the skunk and can’t wait to see more. I love the raspberry color too! I can’t wait to see what else you have for us this month! wow! that paper is soooo striking! and I have a thing for skunks (they are so stinkin’ cute!) can’t wait to see the full set. I love that color! yummy! Super cute! You really have me anxious to see the other critters in the set – I LOVE the cute skunk, and can hardly wait to see all of his friends! Plus, the sentiment set must have some really cute sayings, I am sure of it! Thanks for a chance to win. How great to have “sweet smelling” little critters…the ones that live around our farm are cute, but not quite as sweet smelling! i am in love with the new paper. i love that color. Oh gosh – I’m in so much trouble – I was sure I could resist this month but… that wee skunk is soo dinky – many thanks for the chance to win. I can’t wait to see the new sets. I didn’t think I was ready to leave Christmas behind…but I might be! WOW!!! What GREAT colors..so vibrant..Thanks for sharing the scented embossing powder, I had never heard of that and can’t wait to try. What a cute set and that new color is fantastic. Can’t wait to try all the new things! What a precious little stinker that skunk is! I love the paper, too! Really cool! Raspberry Fizz is so pretty! I can’t wait to use it with some dark chocolate cardstock and ribbon. And Candice’s new set is just too cute! Cute set!! I love those colors too!! I’ve been waiting to find the perfect skunk. Looks like the wait is over. Love him. I love that little skunk and the new series of papers! I love retro too! Can’t wait to see the rest! Very Cute stamp….I don’t really like cutesy, but this skunk is just right! Thanks…. I love the raspberry fizz paper! I cannot wait to see what the rest of the week holds. I just can’t wait to set my eyes on the new Forest Friends set. I know it is gonna be the best set ever. Oh, the skunk is just adorable! I can’t wait to see what other creatures will be offered! Love the card! I never would have thought to use kool-aid and make my own scratch and sniff. Perfect! What a cute skunk & I love the new color!! Can’t wait to see the rest of the release! Oh my goodness…this set is adorable! I have never even considered creating scented cards, but what a great idea. Thank you for the inspiration! WOO HOO; can’t wait to see the entire set! What a great paper mix too; love it!! I had never thought of making scented cards! And I LOVE the bright raspberry paper, I am not at all into pastels, and pastel it is NOT!! Oh, I think I am in love with PTI!!! Pick me, pick me!! I lurv bright colors!! “Kool” idea about the Kool-aid. Our grandson will love the little critter stamps. (He’s too young yet to not enjoy pink.) Thanks for a chance to win. Does the random integer finder thingy make it all the way past 600? Hope so! What’s not to love about a fluffy little skunk? Too cute! I can’t wait to meet the rest of his friends. Thanks for the chance. I love that bright pink color! So eye-catching! Looks like another great release of “must-haves”! I love the cute little skunk image… and that font is just adorable. Reminds me of the van from Scooby Doo, “The Mystery Machine” (I think…it’s been ages since I’ve seen that cartoon!). cute card, love the scent ideas. Can’t wait to see the rest of the family. The skunk is too cute can wait to see the rest of the set and the scentiments. Both my daughter and I could have lots of fun with this set. Too cute! Love the new paper!!! Love the new paper….and can’t wait to see all the new stuff!!!! thanks for the chance to win! The cute forest critters will be so much fun! I have a nephew who is a real little stinker (in a cute way), and I’m already thinking of a card and treat box for him. Oh, and pink is my favorite color! Especially bright, flashy, hot hot pink! I just love what I’ve seen so far of these little critters. Can’t wait to see it all! This set looks like a lot of fun! I really like the new raspberry color; such a happy color! What an adorable skunk! Can’t wait to see the rest of this set. Love the vibrant raspberry fizz paper too. Thanks for the chance to win! How cute! Love the colors. What a cute skunk and he just pops off that raspberry fizz paper! I can’t wait to try the scratch and sniff idea – how fun. As always after reading your blog my mind is full of craft creation I want to work on. This is the cutest stinker I have seen. And LOVE the new paper. Can’t wait to get that in my mailbox! I love the patterned paper. I am hoping there will be a color of Razberry Fizz too. I love hot pink! I look forward to seeing the rest of the set. Thanks for the chance to win. I LOVE that paper! Love the bright colors and the skunk is adorable! Thanks for the fabulous tips on adding scents to our cards! I know what I will be doing this weekend. Can’t wait for the new sets to come out! That’s so stinkin’ cute! Can’t wait to see the rest of the set. Beautiful patterned paper, too. Wow, the Raspberry Fizz is so bright, cheery and fun! I’m wondering if this color is what we’ll be seeing more of in the new release?!? Can’t wait! Thanks for a chance to win! Love the new set. Merry Christmas. I for one would be THRILLED to win this set! The skunk is incredibly cute, the font mixture is inspired and I LOVE the raspberry fizz mix paper! Thanks for this opportunity! I love this skunk! The sentiment immediately had me thinking of Bambi…I’m not the only one, am I??? Very excited for this release!!! I’m loving the new paper and the skunk is the perfect compliment! LOL Keep the great ideas coming! I never thought of using fragrance oil. Great ideas!! The skunk is just adorable! Can’t wait to see the whole set. Never thought to use scented oils to add a little *something* to a card. I can’t wait to try that out! Why did you have to do such great stuff at Christmas? You know we will HAVE to have it!! Love the new style and I have to say, my sets from this site are by far – my most used! Thanks so much for your sharing great stamp sets along with great inspirations. Hape your Christmas is joyful! I love the little skunk and can’t wait to see the rest of the set! I’m always looking for good images for little boy cards! Thanks for sharing this great prize! They are awsome !!! AWhat fun you can have with what has been shown. This set reminds me of Flower from Bambi. I saw this skunk on the sneak peak and I knew that I just had to have it. Looking forward to seeing the other critters in this set! I LOVE the new color and this set! I would love to call them my own! Thanks for a chance to win! I love the skunk and the scratch and sniff idea! I’ll have to try the kool-aid embossing mix! I guess I will have to change my opinion about skunks now. I never really liked them–my doggie got skunked two times too many. But this skunk is a sweet smelling critter. Love the scenting ideas. Thank you so much. That little skunk is so cute, and I love the bright raspberry fizz color. Thanks for sharing, and I’m looking forward to seeing more of the stamp set. What a wonderful set. I think the bright colors are needed this time of year. Cannot wait to see the other animals in the stamp set. I am going to try the scented card idea, never heard of doing that, would be cool to have your Christmas cards to smell like Pine trees or peppermint. Love that skunk! And the designer paper looks very fun! Ohhhh I LOVE THIS PAPER!! the skunk is cute too – ha….but this paper is soooooooooo loud, it’s awesome! Love, love, love them all! Love it, love it, love it! ALL of it! Wow, soooo cool. I love the bright color of the Raspberry Fizz and I hope there is an ink pad to match!! Beautiful. Too cute!! Thanks for the chance to win! I love that colour, and that stamp set preview is very tempting. Can’t wait to see the whole set! The skunk is too cute!! Now I can’t wait to see all the other stamps too!! And the paper is absolutely gorgeous!! What an adorable skunk! And the Raspberry Fizzle… to die for! I actually have scented stamping ink. Ihope you haven’t picked a winner yet! Wow, I love the new colors and the new critter!! Can’t wait to see what else you have in store for us. I can’t wait to see the whole stamp set! I love the patterned paper too! Very cute set! I love the new papers too! Can’t wait to see the other animals! Oh my goodness – how cute is that little skunk! He just looks amazing with that wonderful paper.